In this review I will discuss my personal experiences riding the limited-edition Curve Belgie Air, while making some comparisons to its non-limited-edition counterpart, the Belgie Disc. 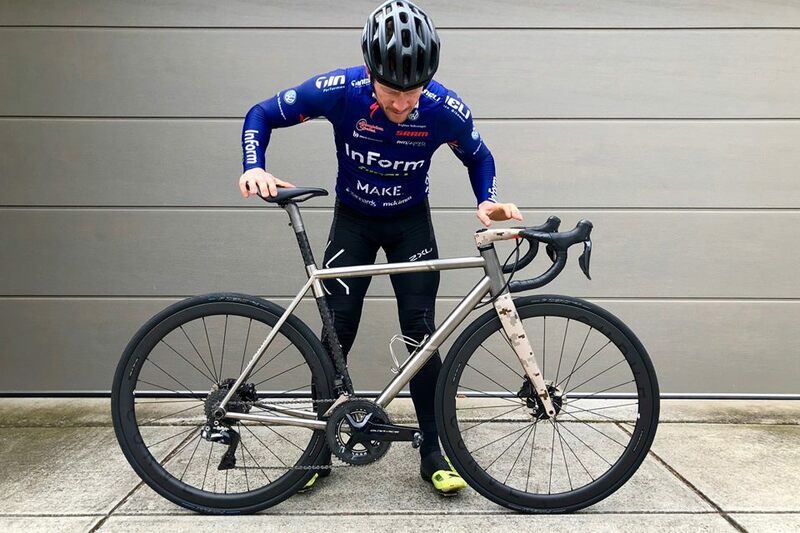 The three areas of focus in this titanium road bike review will be the make-up of the Belgie Air, the riding experience, and what sits behind the Curve Cycling brand. This review gave me a unique opportunity to meet with the staff and customer community that sits behind the Curve Cycling logo, so I will provide a perspective that goes beyond frame materials, geometries, and componentry in this piece. Before we get into the Belgie Air and Curve Cycling, let me paint a little picture for you. I stumbled across Curve Cycling two years ago. I was canvasing Bike Chaser out in the Northern suburbs of Melbourne looking up “bike shops near me” on Google (that I could go and speak with). I’d never heard of them at the time. Possibility because I was still in a full-time corporate job, with Bike Chaser on the side. So, I was a little naïve about the growing boutique local custom bike brands. It was down a side ally behind a main street where I found Curve Cycling. This doesn’t look like a bike shop, I think to myself. I meet Adam and got exposed to their business. Curve is not a relevant Bike Chaser bike shop client, but it was nice to meet the personalities behind the brand. They seemed like lovely people. Off I wondered, not thinking too much more about this Curve Cycling rendezvous. Little did I know that this brand was building some serious momentum. Curve Cycling Co-founder Jesse Carlsson, a highly respected ultra-endurance cyclist – being a winner of what many consider the penultimate ultra-endurance cycling race, the Trans Am Bike Race – was tying the perfect solution into the Curve Cycling brand philosophy. Curve Cycling is all about adventure. Building bikes and wheels that can do the unthinkable. Whether it be racing to Ayres Rock, over the Rocky Mountains, racing in the local criteriums, or tracking across the desert from one side of Australia to the other. Curve build bikes that can do it all. What better way to establish a ride / race that epitomises who they are. Provoking a surging audience and relisher in taking on the extreme, while creating undeniable memories that go well and truly beyond the bike. 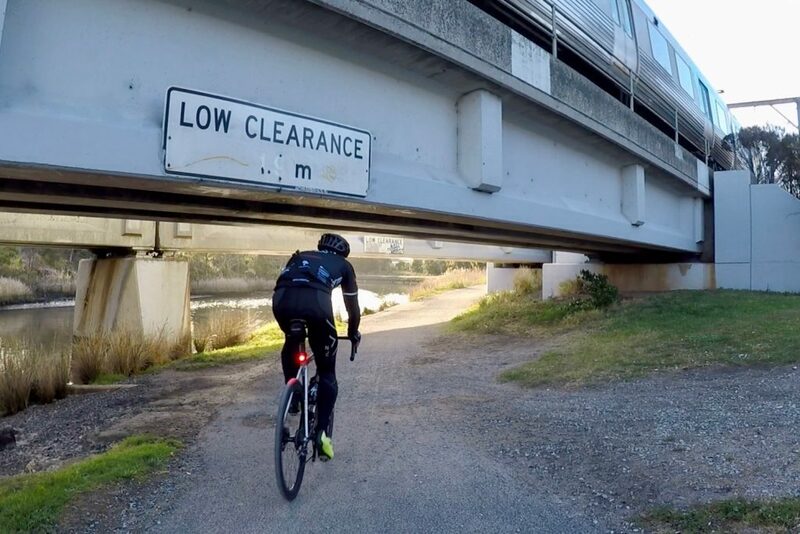 While I’m no Indian Pacific Wheel Racer, nor consider myself a true adventure cyclist – despite riding the length of New Zealand last year – I am fascinated by the category. The way people can push themselves through the seemingly impossible. I think most of us can’t help but engage. For me, it was non-other than Cycling Maven / Mark Ferguson who introduced me properly to this phenomenon in 2017. Through watching his YouTube videos, I was then lead back to Curve. I met Rhino and Jesse on Mark’s channel, reconvening with that back street “shed” I once Googled, looking for bike shops near me. I was on Curve Cycling’s Instagram and Facebook pages. I saw their bikes, the customers, and of course, the adventures. 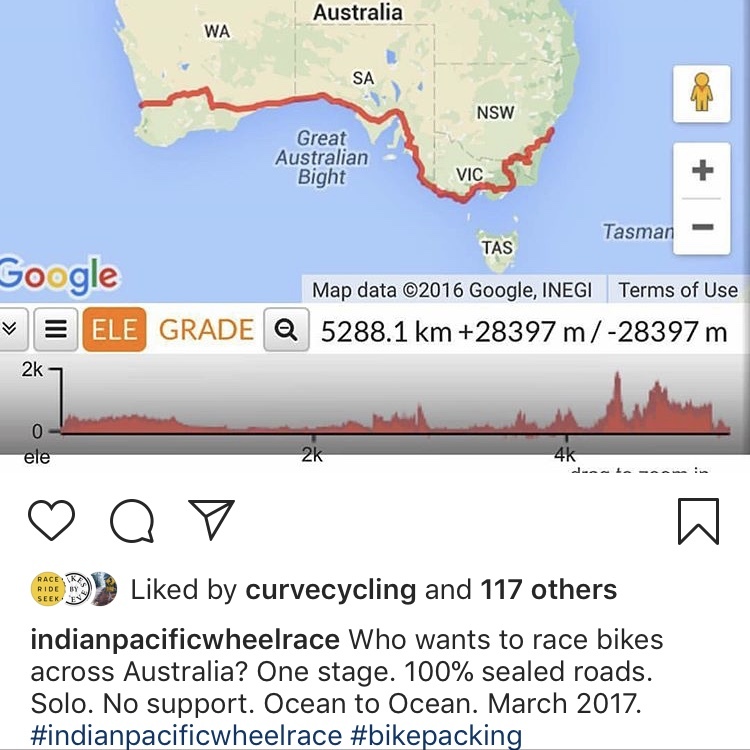 I can’t personally tell you if the Indian Pacific Wheel Race and Cycling Maven being onboard that initial 2017 ride across Australia had anything to do with the growth of Curve Cycling? But as of 6 months ago, they’re now in a new ‘shed’ that caters to their growth and increasing customer demand, and in my eyes – and I know many others from the discussions I had – Curve Cycling have become a big thing! So what about this limited edition bike? I was very delicate in my approach to understanding the Belgie Air and it’s titanium / carbon make up. The Belgie Air is an iteration of the Curve Cycling Belgie Disc, so if you like what you hear and see in this piece and Curve Cycling run out of their 23 limited edition Belgie Airs, you can check out Curve’s website here for the Belgie Disc. “MICHAELS CURVE DISC BELGIE” (image provided by Saint Cloud). This is what the original Belgie Disc looks like. 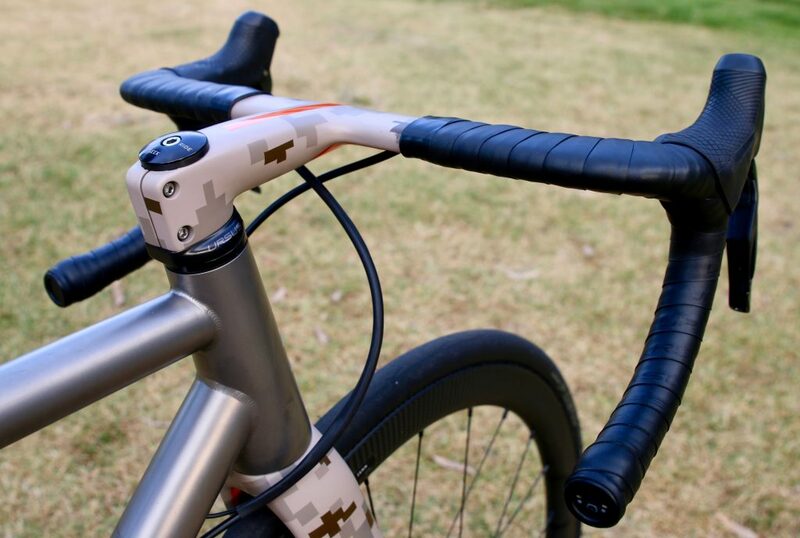 The seat tube in titanium, unlike the Belgie Air. I have previously reviewed a lot of carbon fibre bikes. Race, endurance, and gravel. And recently my own personal alloy Allez Sprint from Specialized. 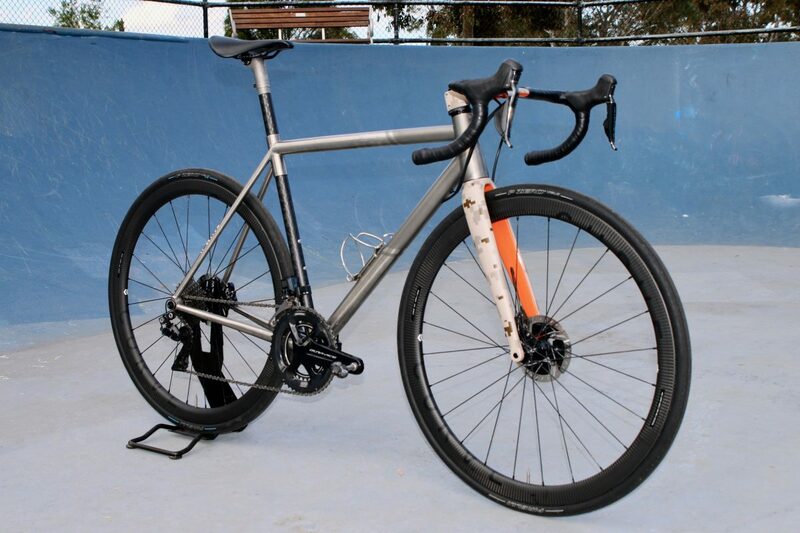 But never before a titanium road bike. In fact, I’ve never ridden a titanium road bike in my 10-year road riding history. But with challenges comes opportunities…. What I’ve learned about titanium is that it genuinely feels like a different thing. What I mean by that is – I recently transition from carbon fibre to aluminium (alloy), and to me alloy just feels like slightly heaver and less comfortable version of carbon. Titanium is not a version of either carbon or alloy, it’s a unique breed. A breed that requires time to fully understand and appreciate. 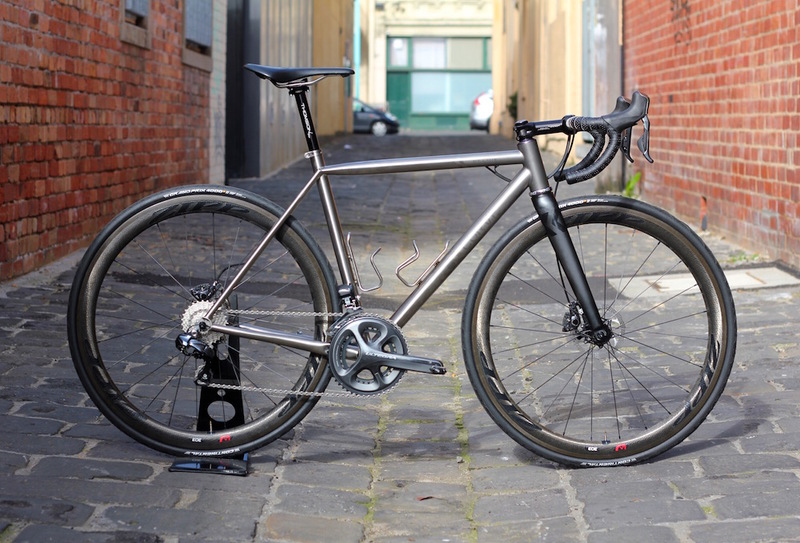 A multi-surface smashfest over the cobbles, tracks and grassy knolls of Melbourne – the Belgie’s aggressive race geometry paired with slightly longer chainstays offer cobbled compliance, enhanced rock-skipping traction and shitloads of speed.That’s according to Curve. So this is essentially an all-round beast that is designed for a lot of riding. The type of bike you can race with, adventure with, commute with, cruise to the local coffee shop with – it’s an everything bike. The carbon seat post has been bonded in using a Bastion methodology, which makes this bike 150 grams lighter over the Belgie Disc and roughly 15% more stiffer. I also provide a unique deign and eye-catching charateristic . 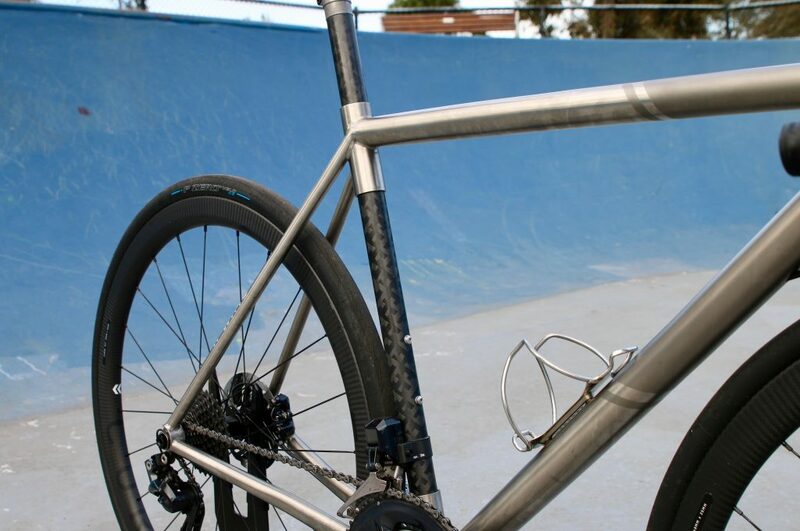 The bike is a blend of titanium and carbon. 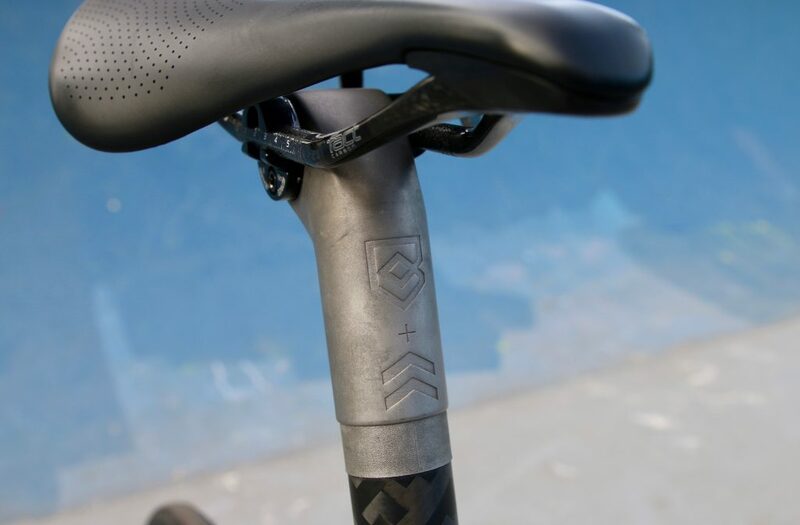 The unique carbon seat post has been bonded in using a Bastion methodology, which makes this bike 150 grams lighter over the Belgie Disc – not only because carbon is a lighter material, but this seat tube has alleviated the need for a seat post, heading directly to this seat topper which you can adjust. This addition has also made the Belgie Air around 15% stiffer than its counterpart. More artwork on the seat topper and a unique way to move the seat up and down. There is no seat post on the Belgie Air. 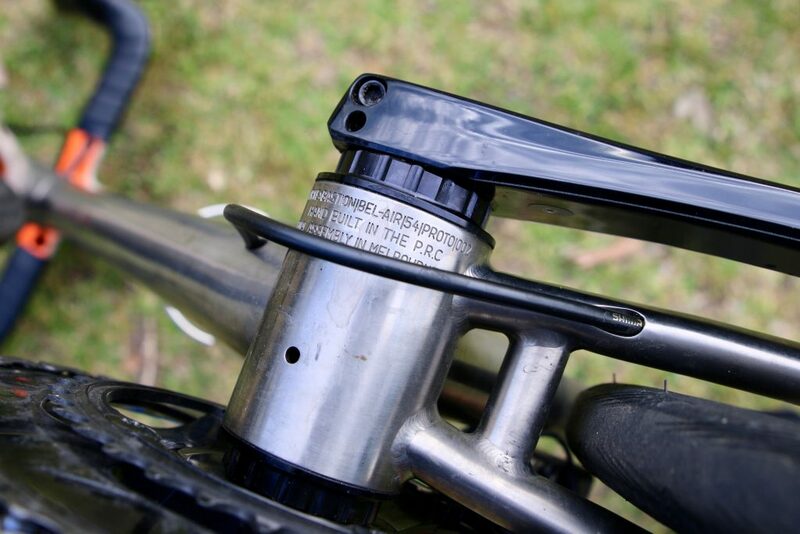 The seat tube runs directly into this piece you see here. The forks are carbon and made by Curve Cycling, but the handlebars, which really integrate nicely with this set up, are produced by an Italian company called Ursus. Componentry wise, this set up comes with Dura Ace Di2, and some Curve Cycling prototype carbon rims. 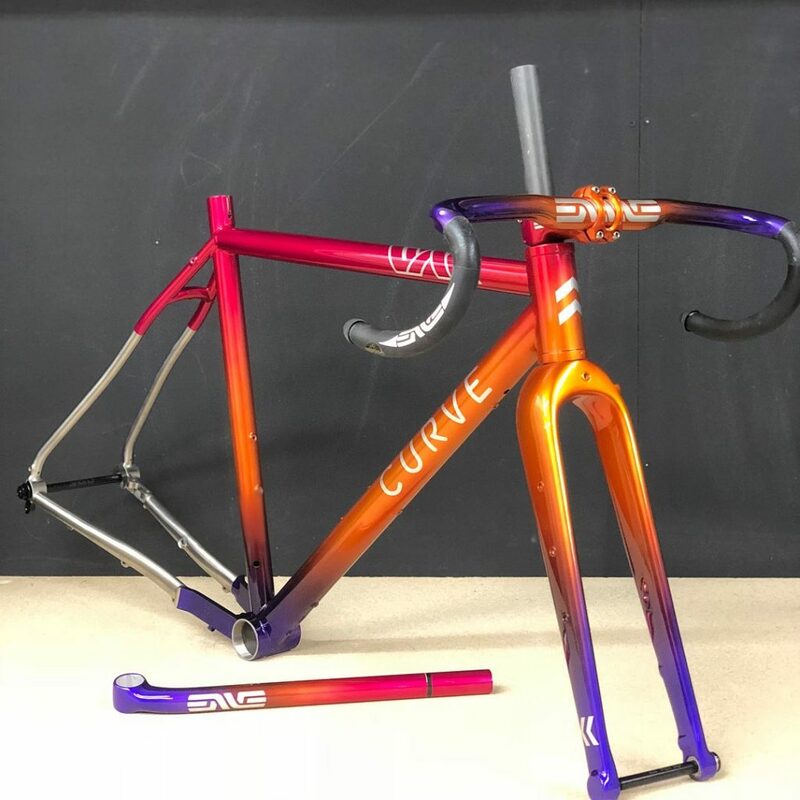 Colour schemes are pretty much an open book thanks to Curve Cycling’s partnership with Bikes by Steve. A demonstration of Bikes by Steve work with Curve Cycling. So this complete bike would be around $14,000 AUD. The limited-edition frameset is $6,999 although it’s companion the Belgie Disc comes in at $3,699 for the frameset. Thus, from the Belgie Disc to the Air, it’s a fair increase in price. You’re paying for a partnership between two brands, Bastion and Curve. The seat tube provides a unique characteristic which makes the Begie Air 150 grams lighter, and stiffer than the Belgie Disc. Perhaps most compelling, is that Curve Cycling are only getting 23 made up! Finally, the Belgie Air, full bike (54cm top tube) with pedals, cages etc, weighed in at 7.87 kgs. So I got a little distracted by a comment when I picked the bike up before testing. I kept hearing “fast road bike” and “racy”. These were comments from Steve, Curve Cycling’s Co-founder. So in my distracted state, I took this road bike away thinking I had a bike that was perhaps in the same “fast road bike” category as some recent road bikes I have reviewed. The Venge and the Tarmac. I’m thinking – crits, out of the saddle attacking, aero dynamic efficiency. I’ve been a little brain washed recently! The all-round road bike with character and spirit. Spirit, you ask? Please bare with me until the very end. I really started to understand this bike and its usability when we started riding long distances and going off road. I loved going off road with this bike. I felt it really come alive, demonstrating to me it’s unique agile and surface dampening capabilities. The titanium feel on the road is really indescribable in comparison to carbon and alloy. It’s silky and smooth, but you also feel the road, the way it was intended to be felt. That may sound a little oxymoronic, but with carbon especially, sometimes the touch on the road feels a little fabricated. It’s not a true feeling. However, titanium and the road get along. The comfort and unity between the road and the rider makes you feel like you can ride the Belgie Air all day long. 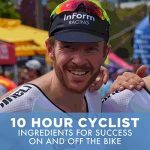 You could take it down to the crits in the morning and race, then go off on an adventure deep into Victorian country – riding on trails, over mountain passes – and on your way home, scoot along the bike path. This bike would be at home, across all terrain. Another small touch on the Belgie Air! Engravings with the number Belgie Air you end up taking home. #1 and #2 are already taken, who’s going to land #23? Blending into the riding experience is the visual experience and there are small little details everywhere on the Belgie Air. If you get up close, there’s TLC all over the bike. There’s also partnership with other well-respected brands, and there’s craftsmanship. 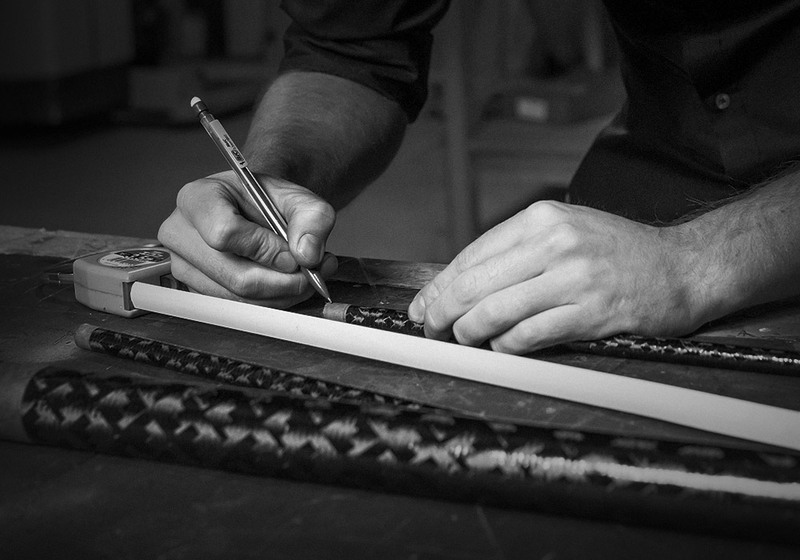 Building a quality titanium frame with a lifetime warranty requires precision and wisdom. Clearly there is a lot more going on here in comparison to the traditional bike purchase. For the Belgie Air, Curve Cycling have partnered with Bastion. The unique carbon look and feel is a standout on this bike. Something else to think about with the Belgie Air, in my opinion, is that it’s not the kind of bike you transition every couple of years, like many people do with the mainstream brands. For example, with the Specialized Tarmac many consumers would buy the sl4, the sl5, and now the sl6. That’s not the deal with this type of bike. The durability of its material and its lifetime warranty/guarantee make it potentially a lifetime companion. Something that you develop a deep affinity with, like many Curve Cycling customers appear to have done so with theirs Curve bikes. I touched on this at the start of this piece, but I wanted to go a layer deeper. What do the Curve Cycling customers say? It’s a big part of this story. As part of this review I got the opportunity to go to Rupert Guinness’s book launch of Power of the Pedal. This was a unique opportunity to get up close and personal with the Curve Cycling culture. If you’ve watched the video above right until the end (watch the last 5 minutes for the Curve customer testimonials) you will hear it for yourself. There were themes and cohorts of people that share both a passion for adventure and an appetite for a human element, without discrimination. One Curve customer said it very well. For me what is import is the rapport, to be able to speak to someone and see the passion and to hear the stories, because the product is available. Everything is online these days, which is the trend today, but the human element is still something that is very important and that really came across when I met the team at Curve Cycling. The Curve Cycling community, their staff, their social media sharing; it really would make you feel like when you buy a Curve bike you’re not just buying a bike and walking away. You’ve entered into a rare and unique cycling culture that will positively impact your riding journey and make you feel like you’re a part of something special. This, for me, is why Curve Cycling has become a leader and a growing player in the bicycle industry. A player in a market that has been so heavily commoditised since the birth of eCommerce. What this shows to me, is that experience and brand connection will always win. 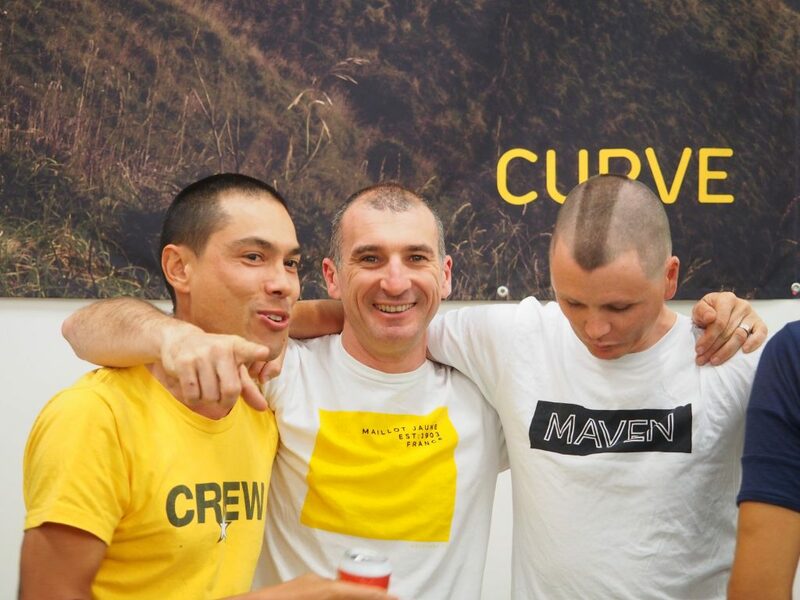 A shot of some of the Curve crew during a customer event at their new HQ in Abbotsford, Vic. Steve (left), Adam (centre) & Ryan / Rhino (Right).